Raz's Midnight Macabre: Toxic Tutu Needs Your Help! "Toxic Tutu" is a mockumentary that pays tribute to The Toxic Avenger and its legacy. Long before theaters were littered with superhero films, Troma Entertainment introduced viewers to New Jersey’s first superhuman hero: "The Toxic Avenger!" The 1984 B-movie has gone on to become a beloved cult classic – but its star, Mark Torgl, has rarely been heard from in the 30+ years since… until now. 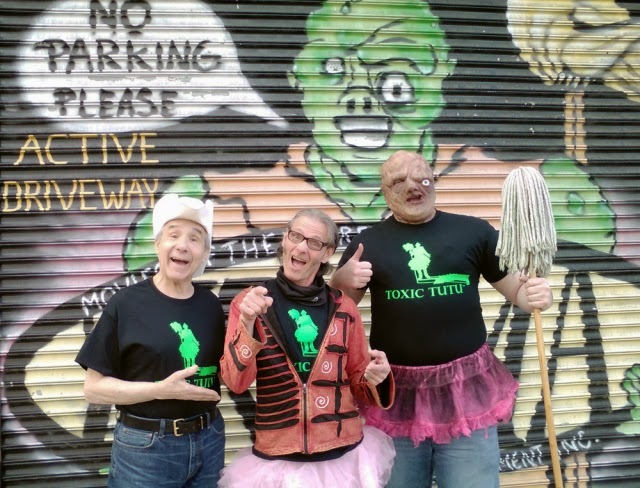 "Toxic Tutu is a mockumentary that pays tribute to "The Toxic Avenger" and its legacy. The almost-true story follows Mark Torgl – who played the 98-pound weakling 'Melvin Junko', the “Mop Boy” – on a two-year journey to monster and horror conventions. 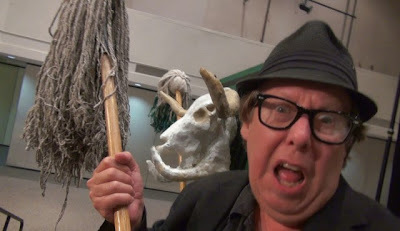 For the first time ever, the actor candidly discusses his experiences on the set of the cult-classic film, including his exposure to toxic waste, and the true purpose of his recent public appearances. 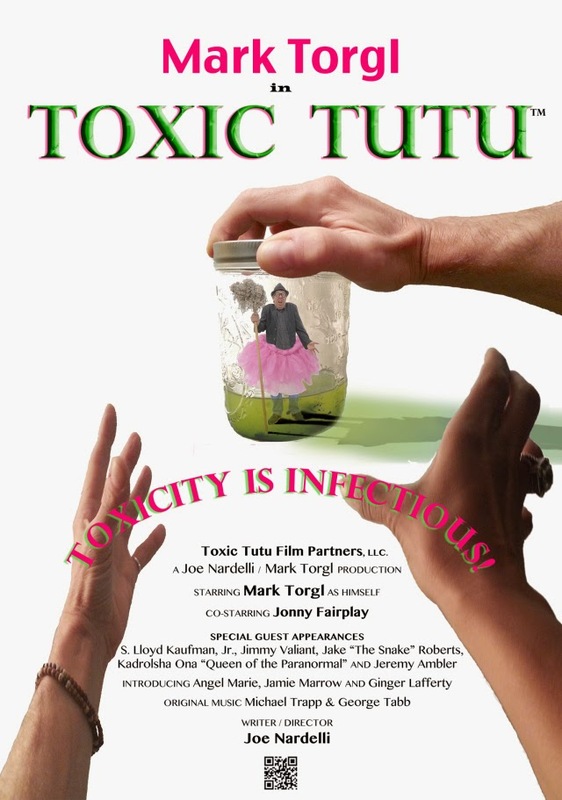 "Toxic Tutu" also documents Torgl’s long-awaited reunion with Lloyd Kaufman, President of Troma Entertainment and creator of "The Toxic Avenger". Guest appearances include “Survivor” reality TV star Jonny FairPlay, pro wrestling superstars Jake “The Snake” Roberts and Jimmy Valiant, indie horror staple Shawn C. Phillips (Ghost Shark), kung-fu xpert Mel Novak (Bruce Lee’s "Game of Death"), and "The Toxic Avenger" cast members D.J. Calvitto and Sarabel Levinson. "Toxic Tutu is currently in post-production. A crowdfunding campaign has been launched to raise the funds necessary to complete the process. Perks include lunch with the stars of the film, limited edition autographed posters, on-screen credits, and more. “This is a very important historic, sociological film,” adds the legendary Kaufman. “Please help Joe Nardelli.” Kaufman is also reaching out to "Toxic Avenger" fans Quentin Tarantino and Kevin Smith on the filmmakers’ behalf in an attempt to get them to appear in the movie. For more information about "Toxic Tutu", visit the Official Website, Facebook, and Twitter.